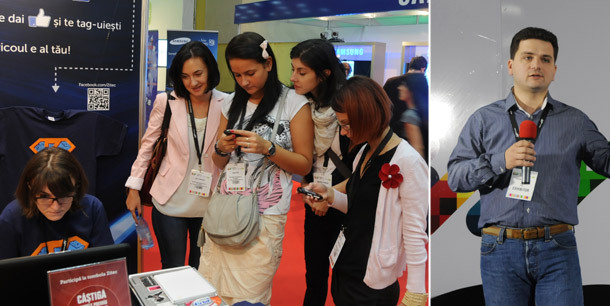 The Internet&Mobile World 2012 will probably go down in the Zitec history as one of our coolest booth for an offline conference. Your feedback confirmed what we’ve hoped from the moment we came up with the Zuperman idea and looking back at the numbers, we’d say it was a zuper idea! – we decided to have a booth at the first Internet&Mobile World edition in order to present our company, our services and to recruit some new members for our team. Plus, we were going to meet some of the speakers we were looking forward to see at the presentations. 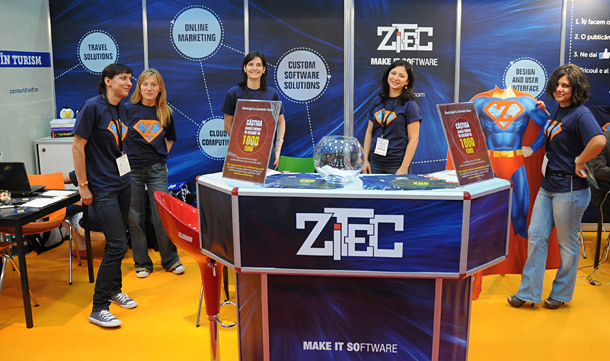 One of our primary goals was to have as many guests as possible attending our booth so we could talk to them and let them know who Zitec is and what we do. This sounded like a piece of cake, we could have brought you free giveaways and make you stop by, but we realized we needed something different. 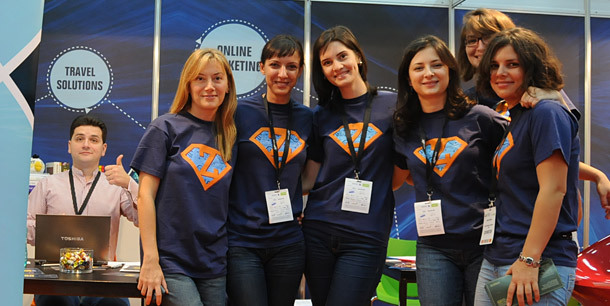 Something that might have gone a little “viral”, that was easy to engage with and that would reach more than just our booth visitors. Since it was an Internet&Mobile conference, it seemed the perfect context for some Facebook engagement. And that’s when Zuperman got into our play. 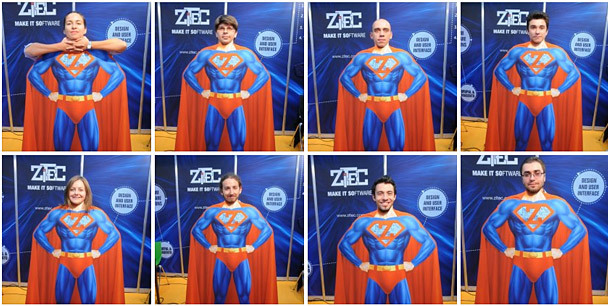 We had a Zuperman cardboard and some Zuper T-shirts made and the plan was pretty simple: come to our booth, take a picture with our Zuperman, upload it on Facebook, tag yourself and we’ll give you one cool Z T-shirt. 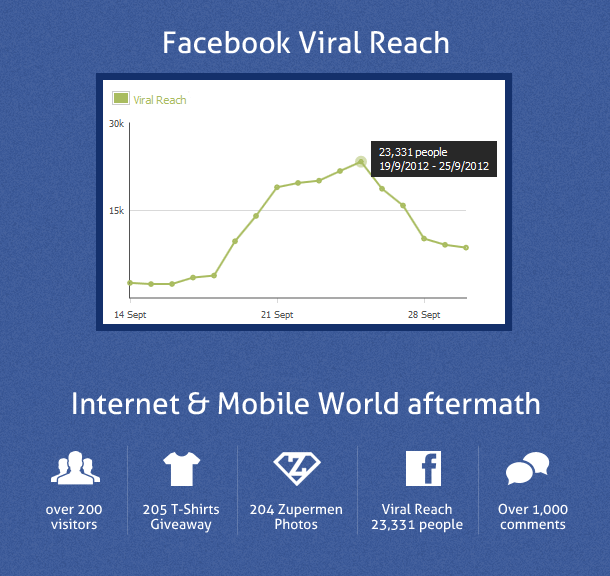 • Over 23,000 people reached on Facebook! Don’t mean to brag about it, but considering our competition at this conference, we kind of did a great job! And we’d be happy to read your input on it. Once again we’d like to thank you all for supporting us and for visiting our booth.